I am able to provide tuition to all levels of fishermen, from complete novice to the experienced fisherman looking to improve his technique or just to experience the wonderful Welsh waters. Half or full day instructions and guiding in: Wet fly fishing methods, leader set ups, fly selection and mending the line. Dry fly and emerger, matching the hatch and presentation. Dry fly and nymph combination. Learn how to read the river, where fish lie and how to wade safely with stealth. Tackle, waders and other equipment can be provided, licences and permits arranged. 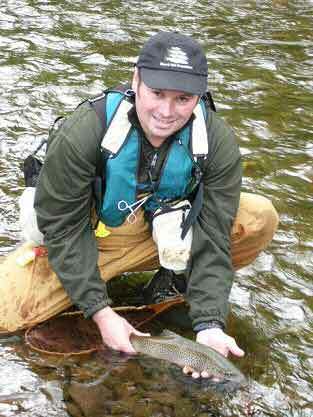 Hosted New Zealand trips, seven years fishing experience over there on over 70 rivers.